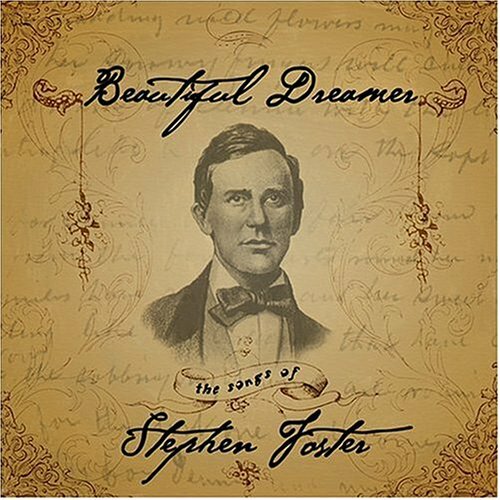 Stephen Foster was born today, July 4, in 1826. He was known as "the father of American music", was an American songwriter known primarily for his parlor and minstrel music. 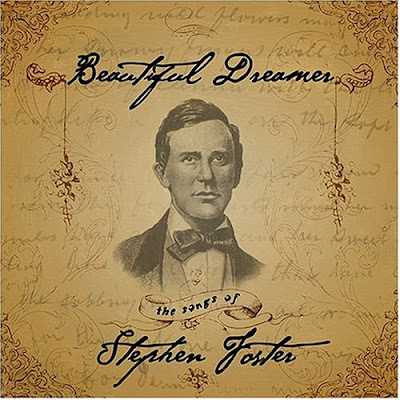 Foster wrote more than 200 songs; among his best-known are "Oh! Susanna," "Hard Times Come Again No More," "Camptown Races," "Old Folks at Home" ("Swanee River"), "My Old Kentucky Home," "Jeanie with the Light Brown Hair," "Old Black Joe," and "Beautiful Dreamer." Many of his compositions remain popular more than 150 years after he wrote them. 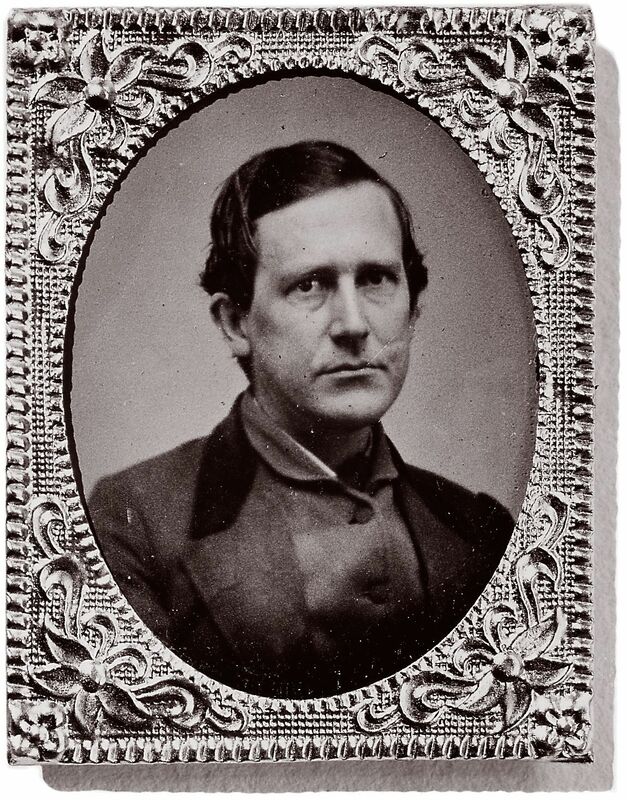 He has been identified as "the most famous songwriter of the nineteenth century" and may be the most recognizable American composer in other countries. There are many biographers who have published works on the life of Foster, but details can differ widely. In addition, Foster wrote very little biographical information himself. His brother Morrison Foster destroyed much of the information about Stephen that he judged to reflect negatively upon the family. Foster was able to teach himself to play the clarinet, violin, guitar, flute and piano. He did not have formal instruction in composition but he was helped by Henry Kleber, a German-born music dealer in Pittsburgh. Kleber was a songwriter, impresario, accompanist, and conductor. Foster married Jane MacDowell on July 22, 1850, and they had one child, a daughter, Marion, born April 18, 1851, but the marriage was said to be an unhappy one. His last four years were spent in New York City. 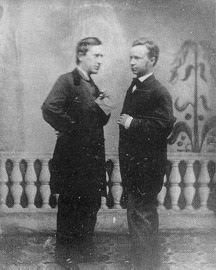 Stephen C. Foster met law student and would be poet, George Cooper [on the right with Foster below], while in his decline into poverty and alcoholism. After a life of writing mostly his own lyrics to his melodies, Foster, one of the first professional songwriters in history, proceeded to form a team with Cooper, who later had a long career as a lyricist for many composers. Foster came called Cooper “the left wing of the song factory,” and the two wrote 21 songs together over the few remaining years of Foster’s life. His fortunes falling rapidly the composer moved from boarding house to flop house, but on a January day in 1864 he had a little more money than usual and took a room in a hotel. While there he fell from the bed and cut his neck and head on a broken washbowl. It was Cooper who was called by the chambermaid who found him, got him to the hospital, wrote to his brother about the accident, and then just a few days later, informed him of Foster’s death. Foster and Cooper continued as companions for just a few years. Foster was the mentor, his contribution to Cooper’s successful career as a professional lyricist (whose most enduring hit is “Sweet Genevieve,” a barbershop quartet favorite), while Cooper acted as a caretaker to the older man. Foster’s alcoholism was too advanced at that point to be reversed, but he experienced a resurgence of productivity and hope. But does it do a disservice to our brothers and sisters of the past to stretch so many points, such as when Foster’s biography in “The Gay & Lesbian Theatrical Legacy” ponders whether the back room in that Bowery grocery store was a sort of proto gay bar? I've long considered Hard Times his best song. Thanks for posting this version.